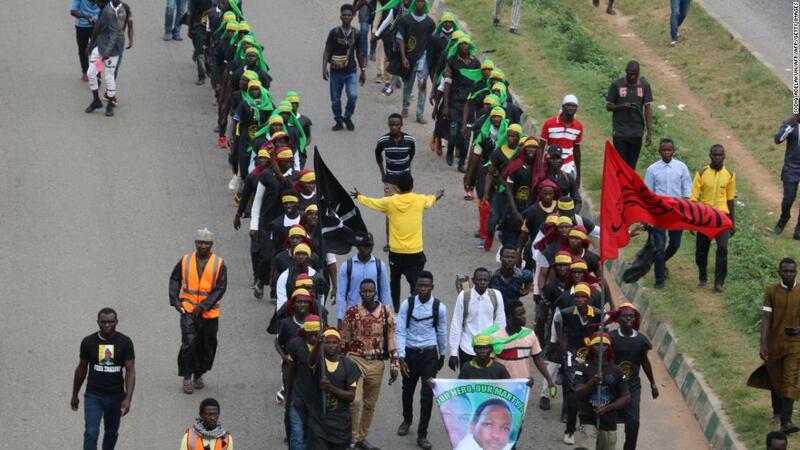 The Nigerian Army has announced that only three members of the Islamic Movement of Nigeria (IMN) or Shi’ite sect, died on Monday at the Kugbo/Karu bridge junction during an encounter with troops in Abuja. In a statement made available to NAN on Tuesday, Army said four soldiers sustained injuries during the encounter. However, the Islamic Movement of Nigeria claimed that about 50 of its members were killed on Monday along the Nyanya-Keffi expressway by officials of the Nigerian Army. The statement stated that the victims were killed after the sect members attacked troops deployed to the checkpoint at the junction at about 3:p.m. The statement reads: “The sect in massive numbers forced their way into the troops’ checkpoint after overrunning the Police Force. “The Police withdrew back to own troops’ position to joined efforts to repel them. “They fired weapons, throwing bottle canisters with fuel, large stones, catapults with dangerous objects and other dangerous items at troops, causing bodily harm and stopping motorist movement, breaking their windscreen and causing heavy traffic. The statement, however, said normalcy had been restored in the general area and there was now free flow of traffic. It called on members of the public living within Abuja and environs to go about their normal activities without fear of molestation. “The Nigerian Army will not deter in carrying out its constitutional roles and also safeguarding law-abiding citizens,” the statement added.